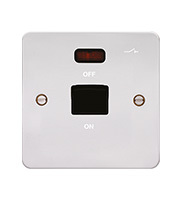 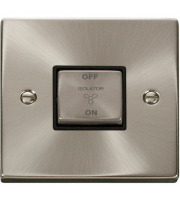 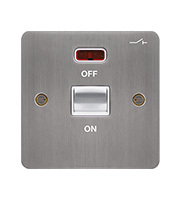 When you are carrying out electrical work you sometimes need to shut down the power supply, to do so you’ll need some disconnectors such as those in our metal flat plate isolator switches range. 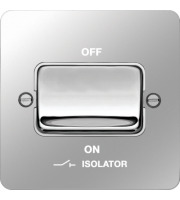 Working with big electrical brands such as Hager, we can guarantee that your isolator switch will perform well and look stylish on your walls. 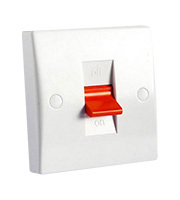 The main role of an isolator switch is to help de-energise the electrical circuit ahead of service or maintenance work. 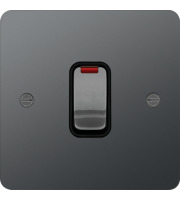 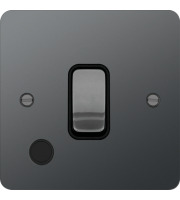 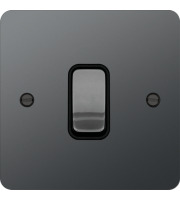 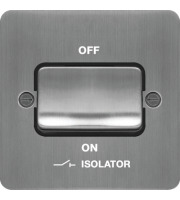 At Direct Trade Supplies we stock a whole host of isolator switches within our metal flat plate accessories range. 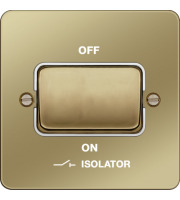 Some are single pole isolator switches whereas others are double pole or have additional features to help the installation. 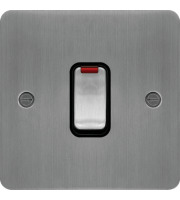 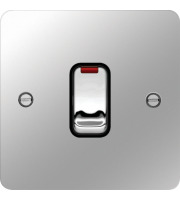 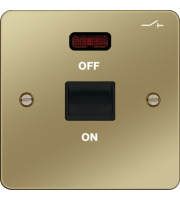 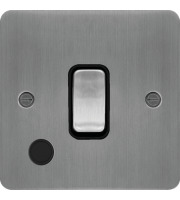 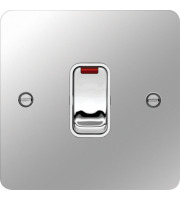 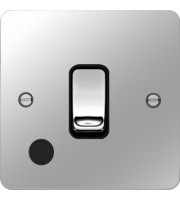 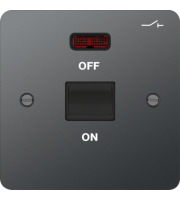 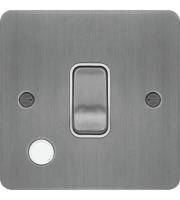 Hager electrical switches and sockets our world renowned for their quality style and performance. 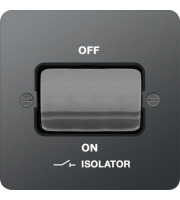 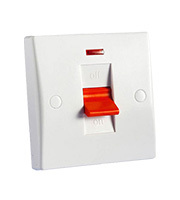 Their isolator switch range will help you to disconnect the circuit supply with great ease. 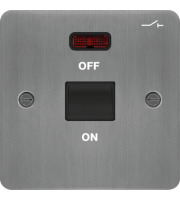 The sheer range of different models span from intermediate switches, double pole switches and even 3 pole switches. Some of the Hager isolator units have LED light displays so the user can visibly see whether the switch is in action or not. 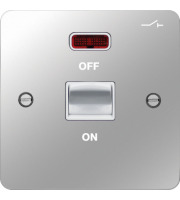 Other Hager disconnector switches have flex outlets included for further advanced work to be carried out. 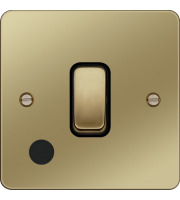 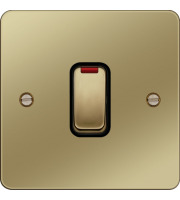 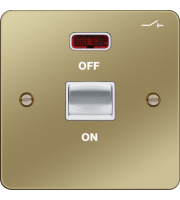 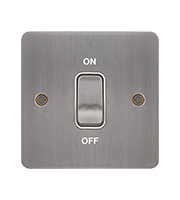 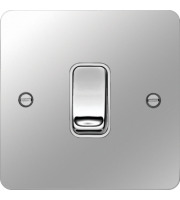 These metal flat plate switches will offer a sleek and slick appearance on the wall, almost sinking into the wall for a discreet and intricate application. 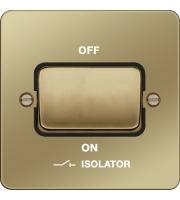 It’s very important that whenever you are undertaking the maintenance work you de-energise the circuit you are working on, and an isolator switch is a very good accessory to help you to do this. 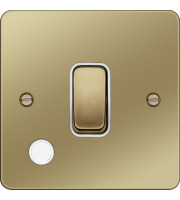 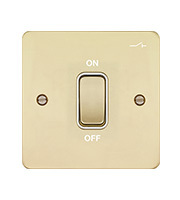 With many different switch styles and finishes to pick from you can select the best model for you and your interiors. 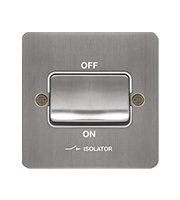 Within our metal flat plate isolator switch range you can pick from black nickel, polished steel, polished brass, brushed steel and more. Direct Trade Supplies can now be your one-stop shop for electrical accessories. 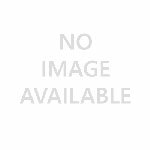 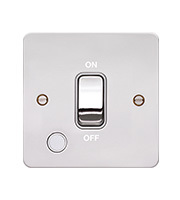 Whether you need standard switches, dimmer switches, sockets, disconnectors or fan switches, you can get some of the very best electrical accessories available on the market with Direct Trade Supplies. 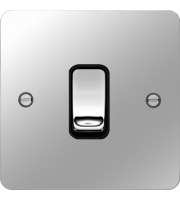 Phone or email our friendly customer service team for more information or to place an order.